I feel the nostalgia for Kirby 64: The Crystal Shards, one of my favorite games as a kid, with Anton Sundström’s build of Kirby’s artist ally Adeleine. She has the ability to make her paintings real and often paints the maximum health tomato, like Anton portrayed here. 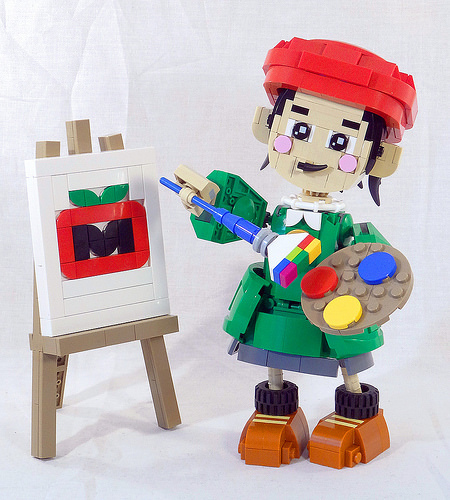 In LEGO bricks, Adeleine is just as lively and adorable as she is in game.